How do I benefit from working with Zorea Consulting? Substantially increase the overall value of your company, organization, not-for-profit, division, business-line or product-line by leveraging our business and management consulting experience. 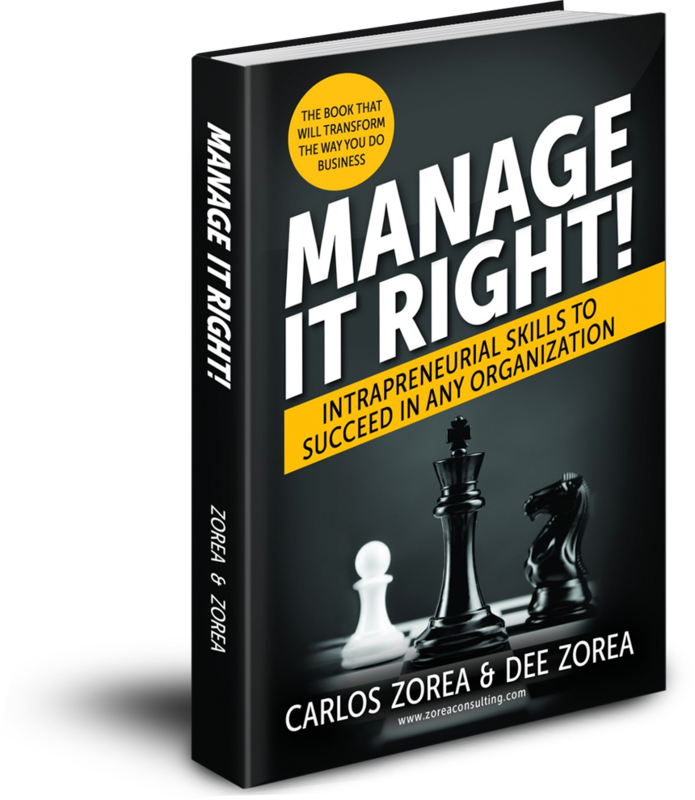 Learn more about our original methodology as described in our book, Manage It Right! — Intrapreneurial Skills to Succeed in Any Organization. What programs or consulting areas do you offer? Graduated from Stanford University, Dartmouth College, Northern Illinois University and MIT. Rely on their integrity and perseverance. Take pride in preparing timely, valuable and actionable deliverables. Measure the effects of their contributions on clients’ successes. Different organizations have different needs. Our clients’ revenues range from $20 million to multi-billion. We build long-term relationships with their CEO’s, COO’s, Presidents and other executive managers responsible for established businesses participating in complicated markets with technological innovation. Because each working engagement often requires tremendous effort & focus, we restrict ourselves to a few companies at any one time. Do you have expertise in only one industry? What kind of management tools do you offer?